Every instrument needs to have some TLC in order for it to remain in the best working condition for optimum performance. First of all, make sure that your piccolo fits snugly inside the case. The purpose of the case is to protect the instrument from the elements and to keep the instrument from sliding around when the case is shut. As time goes on, the blocking inside the case (as well as the velvet lining) can become worn and compressed, allowing the instrument to move. If you can hear your piccolo bouncing around in its case once you have closed it, it is time to look inside to see where the problems might be. Check to make sure that the body of the piccolo cannot slide back and forth horizontally, and also, that it cannot rotate forward or back. If your case is worn, you can get some fabric remnants and test out the proper thickness to bolster the worn spots. As a quick fix, even a cigarette paper folded over several times might be the right thickness to prevent a bit of movement. Severely worn case blocks can be replaced entirely or just re-covered with new more plush velvet or fabric. Make sure that the case locks are secure and remain locked when the case lid is shut. Another option is to replace an old case if it is too worn for refurbishment: you can contact the manufacturer of your piccolo and have them ship you a replacement case, or contact a case maker directly. You should always keep your case inside of a case cover in order to provide a back up if the case locks accidentally open, and also to insulate the instrument further against harsh temperature extremes. Speaking of temperature extremes, never leave your wooden instrument inside your car: in warm climates the inside of a closed car on a warm day soars to over 100 degrees in a few minutes. In cold areas, the reverse is true. Protect your instruments from temperature extremes by keeping them indoors as much as possible. I keep my piccolo fully assembled at all times, storing it in a ‘one piece’ case. This ensures that my alignment remains as consistent as possible. It is wise to occasionally put on a bit of cork grease or plain, unscented Chapstick onto the cork tenon for all instruments, especially one that is not reassembled all the time. If you are playing a metal piccolo, there is no need for cork grease (because there is no cork) but in this case, make sure the tenon is free from all dust and debris by wiping it off occasionally with a clean, dry cloth. Treat metal piccolo tenons exactly the same as you would those on the flute: if they get a bit stiff or sticky feeling, use plain alcohol to clean off both sides of the affected joint. It is important to swab out the piccolo often when we play: for wooden instruments, it becomes even more critical. Swabbing prevents bubbles from forming (excess moisture that acts as a seal which will prevent a key from opening or closing…which causes wrong notes to sound…are called bubbles). Moisture can be drawn to the same pathways in wood grain over and over as excess moisture builds up. The grain can become ‘eroded’ over time much like a river bed, if extreme amounts of water are allowed to build up. This ‘erosion’ causes the water to be attracted to the same places each time, which often results in bubbles in the same spot over and over again. 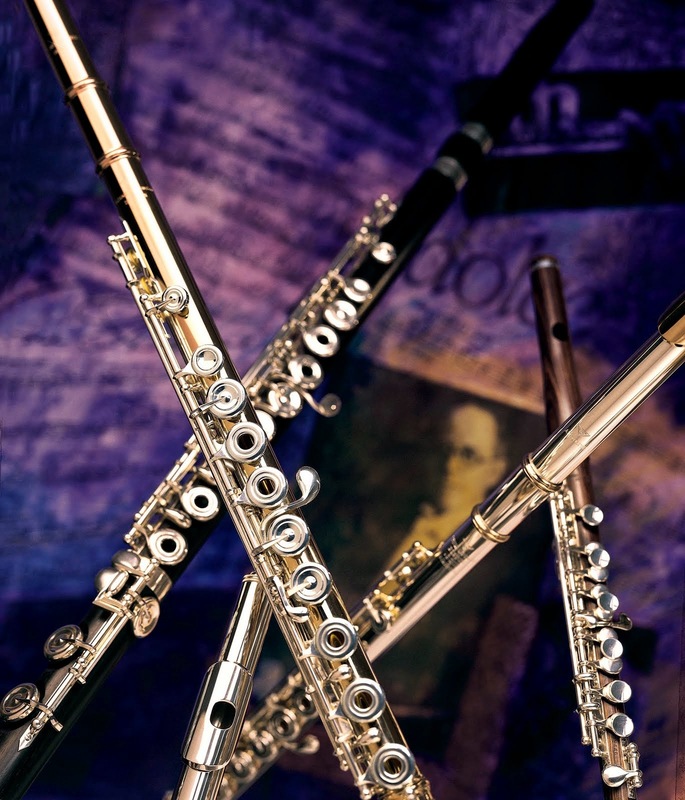 The piccolo’s small conical bore also presents a challenge: The player needs a swab that works quickly, does not get stuck and of course, one that dries out the instrument. There are two kinds of swabs to discuss: those to be used during a performance (the instrument will remain in one piece) and those to be used when the headjoint is separated from the body, such as when returning the piccolo to rest in a traditional two-piece case. Swabs that can be used when the instrument is in one piece include the piccolo flag style, and the traditional cleaning rod (with extender) with a cloth swab attached. The piccolo flag is a small rectangle of chamois material attached to a long slender stick. The length of the swab, if kept in one long piece, is often too long for storage in most piccolo cases, so a threaded section in the middle affords a break apart option. This is an excellent swab to use: it really can’t get caught in the bore and the chamois end is flexible enough to get into the closed end of the headjoint. The traditional cleaning rod is effective, but the bulk of the cloth can sometimes impede the process of cleaning the instrument: I find using a slender silk triangle is the best fabric and shape to use. Silk compresses beautifully, is lint free, and absorbs very well. Both of these swabs work well when the piccolo is taken apart in two pieces but there are other choices to use when the instrument is disassembled: there are plush swabs that will work beautifully to clean out the end of the headjoint near the cork, but many of these will not work on a conical bore instrument when assembled. It is important to dry this area out carefully after use. It is also a good idea to remove moisture from the backwall or ‘blow hole ‘ of the headjoint: I use my little finger to keep this area dry, or a cotton swab. If you have a whitish buildup in this area, it is most likely dry residue that was not caught in the preventable ‘wet’ stage. Your repair technician can help remove this for you. I always wipe off the keys before I put my instrument away for the day using a micro fiber cloth: it removes skin oils that could possibly leach into delicate paper shims used for adjustments. If you play a metal headjoint or entire metal instrument, wipe that down every day as well. A yearly COA is a ‘must do’ for your instrument: your technician will clean, oil and adjust your instrument from top to bottom. He/she will remove all the keywork, check for any pad adjustments that need to be made or replaced, adjust spring tensions, make key to key adjustments, check the headjoint cork, and check the wood body for any cracks. They will put new oil in the rods and your instrument will feel good as new. If you are playing a school instrument for the marching season, make sure the headjoint cork is fitting correctly in the headjoint. Corks can often shrink if the instrument is not played consistently, and this can cause intonation problems as well as response issues. A tight fitting cork is a must! If you play piccolo infrequently, perhaps this schedule can be every 18 months: if you play a lot, you may find yourself needing adjustments more often. A complete overhaul can be considered necessary after heavy use or many years depending on the player and the amount of piccolo playing.